First release Kali Mist female pollinated with the only existing Mr Greengene’s Burmese/Cherry Bomb male. Kali Mist and Cherry Bomb dominated phenotypes,some expressions with a bit more Burmese. seem to be more exotic. Fast growing plants that stretch extensively. 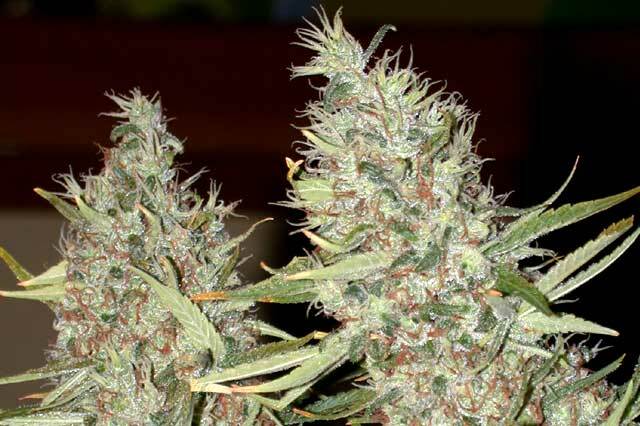 Classic sativa with the ‘monkey fist’ Cherry Bomb expressions that Mr Greengenes bred in to the Maui line. Very potent and exotic expressions to be found in this line. 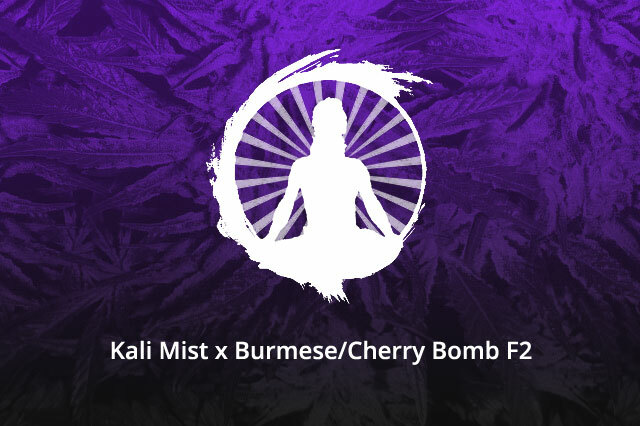 The Kali Mist mother in this Swami Organic Seed hybrid was the first release Kali Mist, which by all accounts is the one of the best ‘feel good’ sativas available today. Women particularly enjoy the effects from the Kali. I acquired the V.I.S.C. Burmese x Mr Greengenes Cherry Bomb seeds from Mr Greengenes himself who had done the cross to the Burmese. I found only one male from the seeds and used it to pollinate this Kali Mist. Very fruity sweet sandalwood incense smoke followed by an incapacitating inebriation. No ceiling on most expressions, and slightly psychedelic, this sativa is not for the light smoker in much the same manner any higher quality sativa may be for some individuals.